Being a family caregiver to someone with fibromyalgia can be difficult and frustrating. The condition causes widespread pain without any apparent reason, such as an underlying condition or injury. Doctors don’t know what causes fibromyalgia, and there is no cure. 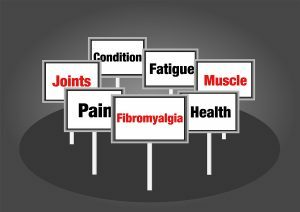 Treating fibromyalgia is a matter of addressing the symptoms and trying to alleviate pain. Although there are medications that may be helpful in treating fibromyalgia pain, many health professionals believe that home treatment is equally, if not more, important. Below are some tips for things you can do at home to help your aging relative with fibromyalgia to ease the pain. The pain of fibromyalgia can make an older adult not want to move around, much less exercise. However, doctors say that exercise is an extremely important part of reducing pain and improving overall health. If the senior is reluctant to exercise, working with a physical therapist to come up with an exercise plan can make it more likely that they will be able to stick with it. Home care can help keep your aging relative more physically active. For example, a home care provider could take walks with the senior or drive them to an exercise class. Research suggests that yoga may be especially beneficial to people with fibromyalgia because of its relaxing and gentle qualities. It has been shown to improve mood, reduce pain, and decrease fatigue. Home care can help reduce exposure to triggers. Having a home care provider to assist with household tasks, like cooking and cleaning, can keep older adults from working themselves into a state of fatigue. Home care providers can also find indoor activities for the older adult on days when the weather is bad. There’s a lot of anecdotal evidence pointing to changing the way a fibromyalgia sufferer eats to improve their symptoms. However, there isn’t one specific diet that doctors recommend. Some people say that an anti-inflammatory diet can help. Others say avoiding fructose can help. If you’re interested in exploring dietary options, talk to the senior’s doctor to make sure their diet is balanced and meets their nutritional needs. Once you’ve talked to the doctor, a home care provider can help seniors to eat better by preparing healthy, balanced meals. Home care providers can even take the older adult grocery shopping and carry the heavy bags for them.